The FTV Combi has ample space heating capacity and adds endless hot water to its repertoire, making it a great 2-in-1 appliance. The FTV’s smart solutions and quality componentry ensure you get the best value for money. 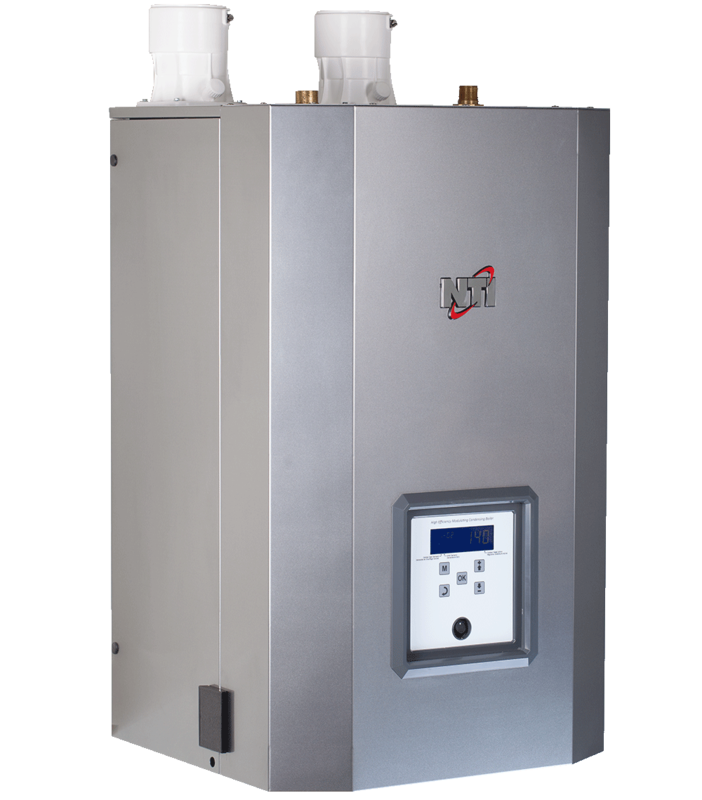 The FTV is a high-efficiency, wall-hung boiler equipped with a vertical fire tube heat exchanger made of industry proven 439 stainless steel. NTI’s user-friendly programmable display and easy to access components makes it easy to install, set up and maintain, while its unique design enables simpler plumbing layouts to keep costs well under control. With the FTV Combi, every homeowner can enjoy the comfort of endless hot water and space heating in one single appliance. It significantly reduces the installation cost and the mechanical room space required. Those are cost savings for you! The FTV Combi is equipped with a pump, a plate heat exchanger and a pressure bypass. 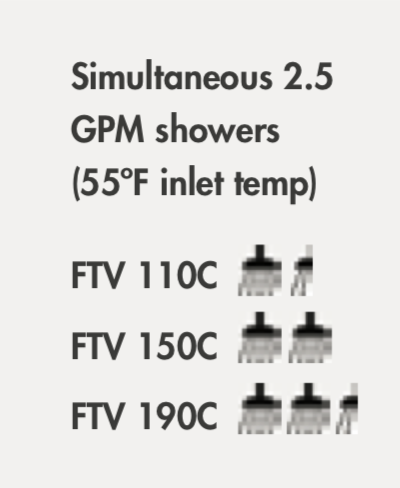 The internal pump can provide circulation for zone valve based heating systems, saving you the cost of a circulator (limited to systems requiring no more than 6 GPM at 9 ft. of head – see IOM). NTI’s FTV heat exchanger is made of 439 stainless steel to ensure maximum durability. All fire tube heat exchangers are NOT made the same! Our fire tubes are dimpled to extract maximum efficiency without the need for inserts that will degrade over time. 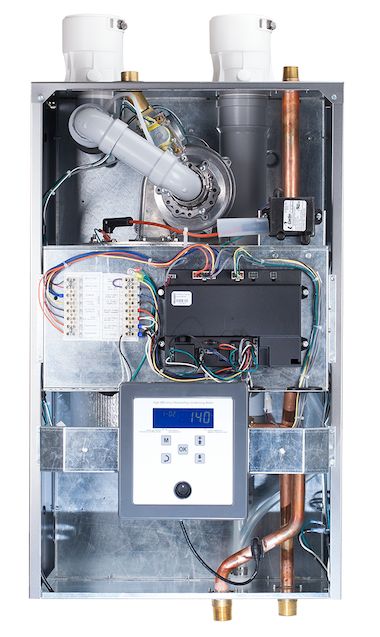 To ease the serviceability of all our boilers, NTI rationalizes parts across our various series to minimize the number of different parts you need to stock and carry.